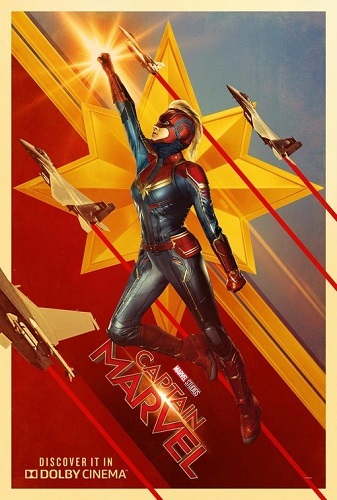 Captain Marvel is a faux-feminist bare minimum MCU entry that’s nowhere near as awesome as the trailers promise it to be with a box-standard origins story, lackluster plot, perfunctory action scenes, missing visual style, and patina of social importance. I’m gonna go ahead and say it, Captain Marvel is no Wonder Woman. First I want to say that Brie Larson does the best she can and proves to be endearing enough. I vouched for Emily Blunt but we wouldn’t get A Quiet Place, so I’ll take this as a good compromise. Captain Marvel begins with a standard-issue story – a hero in training, a missing past, a given name, and a shady higher power. The film remains disappointingly flat and boring throughout as MCU keeps on intervening with its true motivations. The already box-standard origins story is crammed with other origins story to fill in the blanks for Marvel fans. You have the early years of S.H.I.E.L.D, a younger cat-loving Fury before he lost his eye, where that “thing” came from, and how the Avenger’s Initiative came about. This is plugged into an action adventure where Veers goes on a road trip with Fury to find the usual Marvel MacGuffin before a cut-rate villain finds it first. The action scenes are executed well enough to be above your B-movie sci-fi action film, but pedestrian compared to previous MCU offerings. At some point, a blue-faced Gemma Chan shoots Captain Marvel with a nerf gun. Even with all these 90’s pop culture reference, the film has no personality. The First Avenger had whiz-bang action, Iron Man touched on the military-industrial complex with flair, and Thor had Shakespearean themes. Captain Marvel has a cool cat. 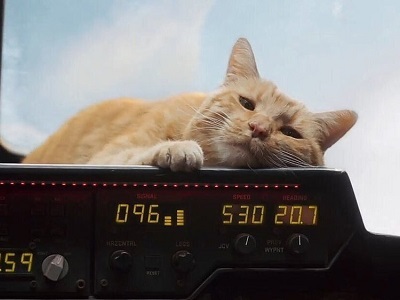 In the end that’s only what you get – pop culture bits, recycled MCU beats and a flerken. Worse, the supporting characters – Fury and Talos – had more engaging screen time. Jackson as the unaware agent Fury and Mendelsohn as a wry villain make the proceedings amusing, but they’re not what you’re supposed to be here for. The script doesn’t nearly pay enough attention to the transformation of Veers to Carol Danvers that whatever emotional depth Brie Larson puts into her role becomes superficial. And what about all that female empowerment it promises? sadly whatever you see in the trailers is all that it can offer. There are obvious great elements here – a female warrior seen as too emotional, villains that could shapeshift, and Top Gun dogfighting. But Marvel has a bigger trilogy to end so they’re just peppered on to a muddled narrative. Captain Marvel deserved better and the first-female led MCU movie deserved more. Hopefully, with the Avengers ending, the sequel is free to be the Carol Danvers movie it deserves to be. And more Goose.